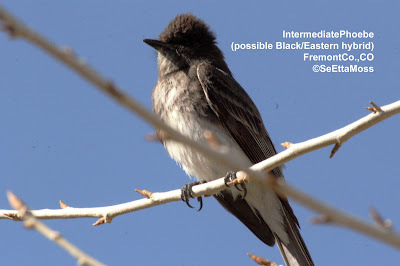 I took these pics of an intermediate plumaged phoebe today in Fremont Co., Colo. As can be seen in these pics, this looks a lot like a Black Phoebe but there are white feathers invading the upper chest area that should be black outside of the 'V' of white from the belly. 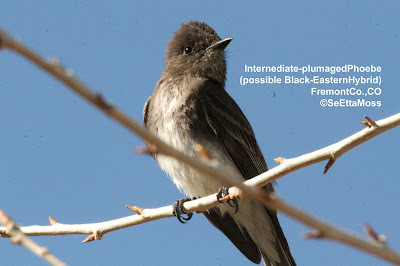 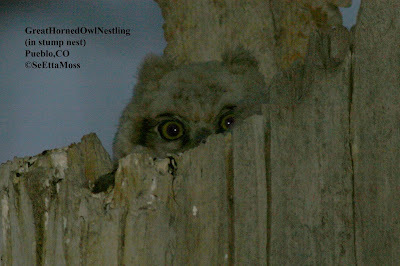 Also there are some white feathers under the chin. 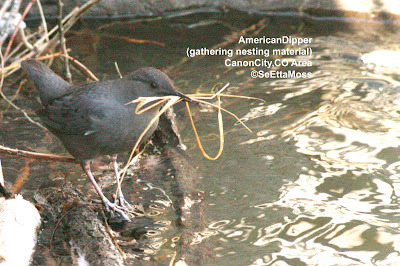 For the last several years one to two American Dippers have spent the winter on the Arkansas River just east of Canon City, CO. 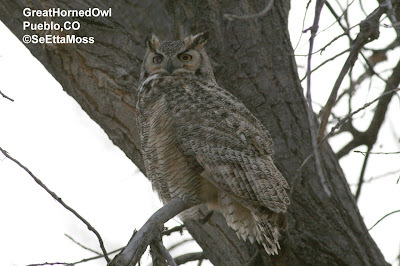 Since the Arkansas River freezes in many areas it isn't unusual for this species to go downstream to open waters.